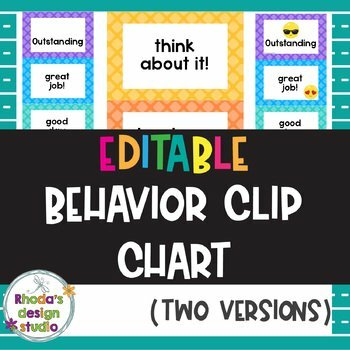 Classroom management with a behavior clip chart is a great way for students to remember what the consequences are for not being on task as well as showing them a visual goal for working hard. The clip chart has a rainbow of colors as a background, large readable text that is simple to read, and the second set with emoji faces to help with text recognition. I have included text on two sets, but you can change the wording, font, and size of text to suit your classroom needs with the 3rd editable option (in PowerPoint format). 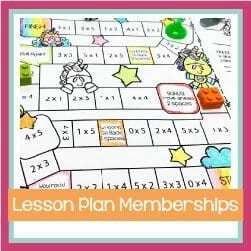 This clip chart is a wonderful way to positively promote and manage student behavior in the classroom. The large green card is approx 7.5 x 10 inches and fits on one sheet of paper in portrait orientation. The other cards are approx. 7.5 x 5 inches and there are two cards per sheet of paper in portrait orientation. Directions are included as well as a sample of the order it should be presented in.